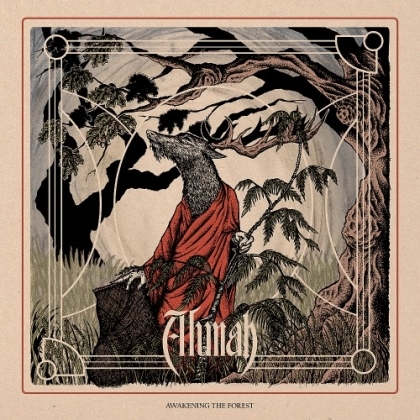 ALUNAH has since their conception in 2006 added the “h” in the end of their name. A couple of bass players have come and gone with the 2014 line-up being Sophie Day, vocals, guitars, Daniel Day, guitars, Daniel Burchmore, bass and Jake Mason, drums. ALUNAH seems to have lot going for them with re-releases and tours. Let´s see what they are doing so right? Opener “Bricket Wood Coven” is no surprise. They´ve been signed to Psychedoomelic and the typical heavy slow sound is there. The guitar has the usual signs of Iommi, and suitably enough the band is from Birmingham. The doom of “Heavy Bough” is spiced up with a nice guitar pattern that raises the bar of quality. The pace is quickened which appeals to a Swede like me, spoilt by CANDLEMASS for many years. Their pagan lyrics are of cause a lot of the overall impression for many. I couldn´t care less. The title track is a piece of melancholy and dire, which drags on. Most of the time ALUNAH is faster than a heap of US ultra-slow doom bands, which I find pleasing. But the stoner mixed with melancholy and woe I could easily change for a faster pace and less monotonous lead vocals. The most rewarding part of this album is the guitar work, which i really like, not least the solos. Unfortunately the anti-climax of album closer “The Summerland” is the last impression of the album. After an intro of over 2 minutes the dirge ensues. Slow and lightweight it changes a bit around 4.30...but by then I´m half asleep. This one is not a favourite of 2014.